Semiconductor capital equipment is highly complex and exacting. To serve as a successful provider to world-class equipment manufacturers requires mastery of critical assembly skills, strict adherence to demanding quality requirements and the ability to consistently meet aggressive build schedules. Bentek takes a partnership approach with a forward vision that includes continuous improvement to keep pace with the industry’s need for reliable and timely contract services. The first-time-build of your design is in close collaboration with you and we encourage inspections at key milestones. NPI program management and engineering teams will take your designs, meticulously review your drawings and schematics, update BOMs if required, provide a complete OMS upon request, develop first-time-build units and seamlessly transition to our lean-line production facilities. Bentek staff have deep Copy Exact (CE!) knowledge throughout the organization. 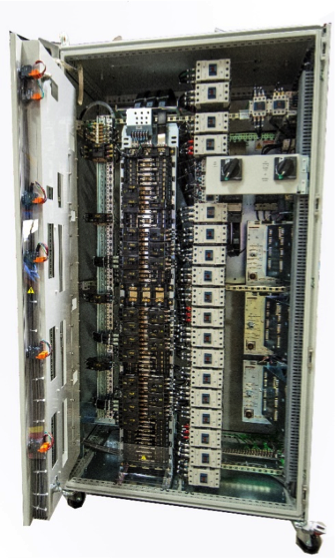 We have provided the industry with complex power distribution/control boxes, RF enclosures, PCBAs and harness assemblies. We are ISO9001:2015 certified at all of our facilities as well as UL508A certified.